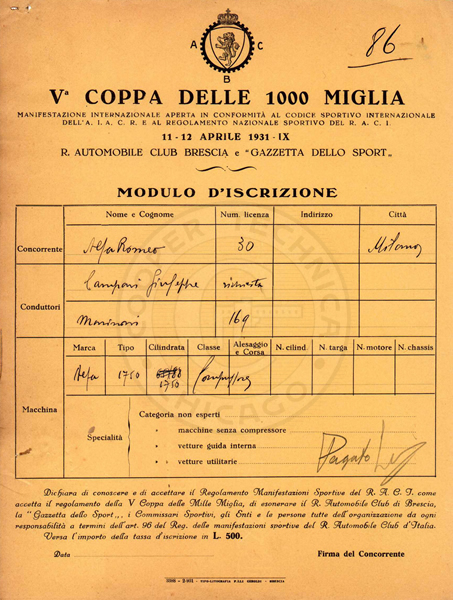 This important car, driven by Giuseppe Campari, came in 2nd overall and first in class at the 1931 Mille Miglia race in Italy. 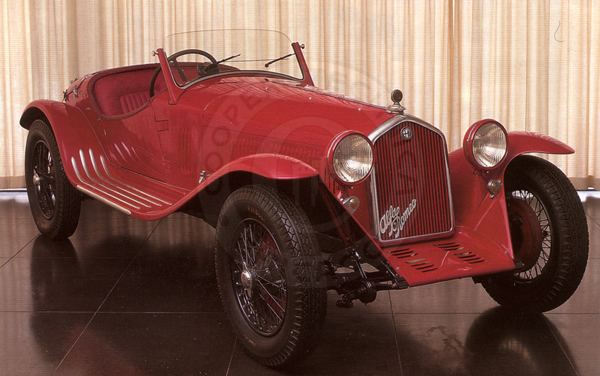 At the time the car was fitted with a lightweight Sypder Zagato racing body, but was fitted with a more elegant body by Carrozzeria Touring in the early 1930's. 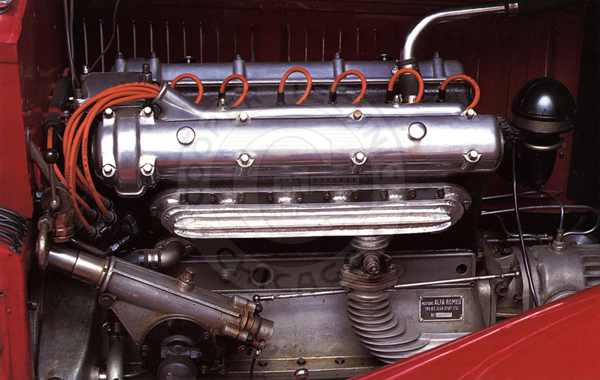 "Testa Fissa" refers to the fixed cylinder head supercharged twin cam engine, a racing masterpiece designed by Vittorio Jano, then head engineer at Alfa Romeo. 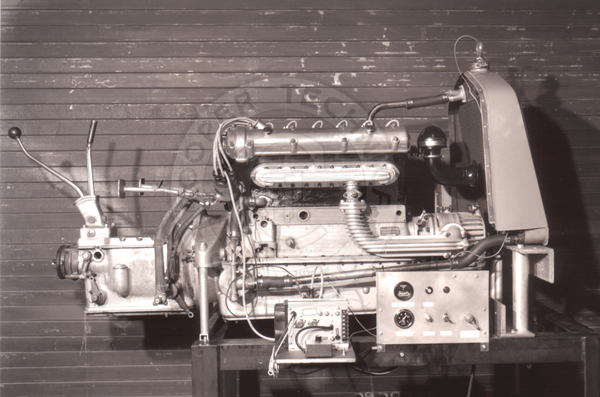 Six of these engines were made for the 1931 racing season; only four are known to survive. 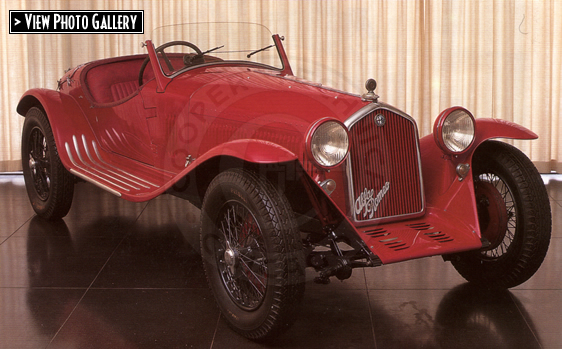 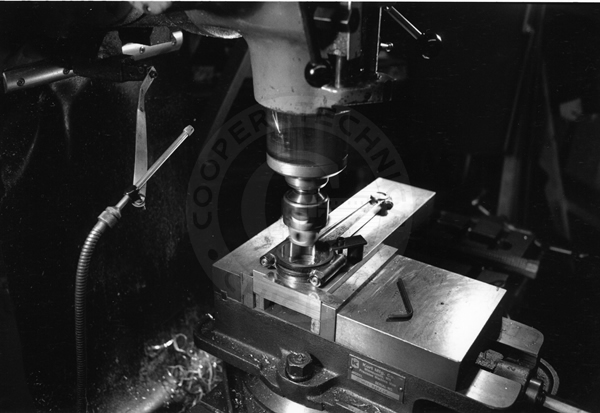 Cooper Technica completely restored the mechanical components of the car to top working condition, but at the owner's request, left the Touring body in unrestored.